You are going to Watch RWBY Volume 1 Episode 3 online free episodes with HQ / high quality. Stream cartoons RWBY Episode 3 Online Nora wakes up Ren, and continually monologues about being teammates with him as he goes about his morning. They walk by Yang and Ruby, who are at their lockers also talking about teams as well. Instead of teaming up, Yang suggests Ruby be more outgoing and find a team of her own. In the meantime, Weiss is nearby, having a similar discussion with Pyrrha, when Jaune shows up to flirt with both of them and asks about having them on his team. After they both rebuff him, the students are ordered to head out for their initiation. At the top of a cliff, Glynda and Ozpin confirm the rumors about teams. 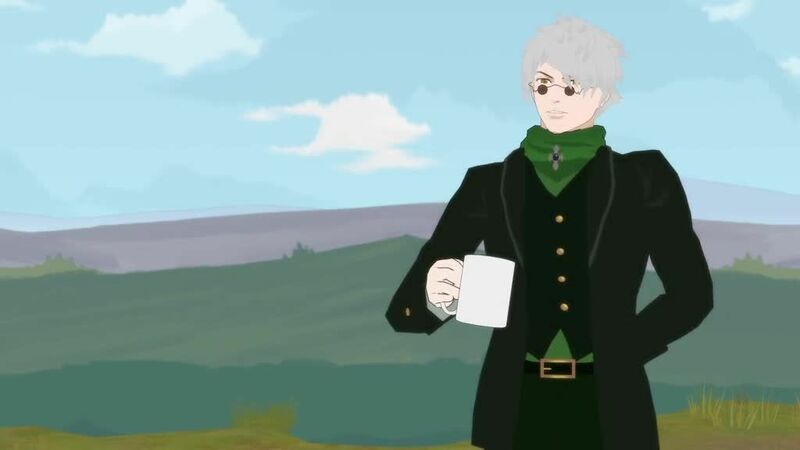 Ozpin informs them that the first person each of them make eye contact with upon landing in Emerald Forest below is their first team member. The students are then launched into the forest by pads to begin initiation. The students propel through the air. While most of them are finding ways to land, Jaune is falling aimlessly until Pyrrha uses her spear to pin him to a tree. When Ruby lands she begins searching for Yang and contemplates other desirable partners, only to run into Weiss. Despite the rules, Weiss walks away from Ruby, but returns when the next person she sees is Jaune stuck to a tree. Soon afterwards, Pyrrha arrives at Jaune’s location. To prove her worth to Weiss, Ruby shows off her speed. However, Ruby then seemingly disappears, leaving Weiss alone as black monsters—the Grimm—surround her.